Residential septic tank drainage request. The Régie now has its Facebook page! Subscribe for news, opening hours, tips and practical tips, etc. Date : Monday May 27th, 2019. Branches must be on the road on the first day to facilitate pickup. The City of Shannon reminds you that as part of the branch collection it is important to release access to the fire hydrants to facilitate the work of firefighters. Please take note that the next leaf pick-up will be on Mondays May 13th, October 14th and 28th and on November 11th 2019. Please note that Shannon residents must drop off waste at the Neuville Ecocentre or at the Saint-Raymond Ecocentre and may not, under any circumstances, drop off waste at the Val-Bélair Ecocentre. 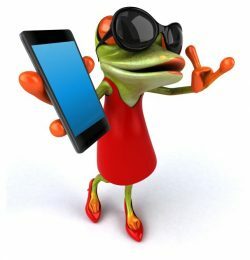 Please note that the City of Shannon provides citizens with sites for the disposal of electronic and computer equipment and battery, located near the municipal garage at 79 chemin de Gosford. To ensure the safety of the citizens, the City of Shannon now prohibits the deposit of hazardous materials in all the containers of the City including the gray container located near the municipal garage at 79, Gosford Road. The gray container is strictly reserved for the recovery of computer equipment such as printers, monitors, cell phones and other parts. 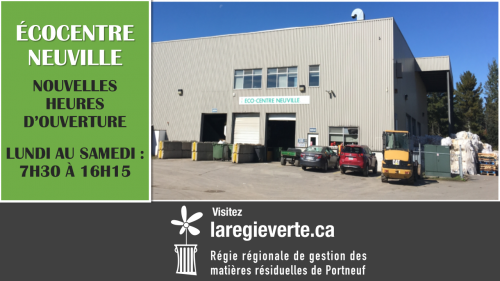 Hazardous materials such as containers of used paint, aerosol cans, chlorine containers, propane tanks, etc., must be deposited at the Ecocentre Neuville located at 1310, chemin du Site. Please note that the city’s containers are equipped with surveillance cameras and that any offense is punishable by a fine. We thank all our citizens for your usual collaboration. Please note that household appliances are not accepted.